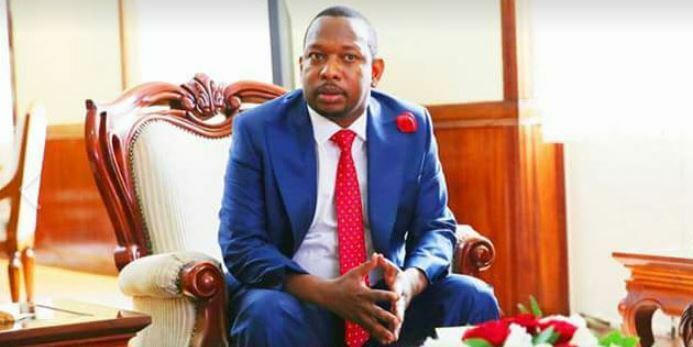 Nairobi Governor Mike Sonko has ironically accepted a damning appraisal of his performance that has seen him emerge last among governors overseeing the three cities in the country, Nairobi, Mombasa, and Kisumu. According to the latest opinion poll by research firm Trends & Insights for Africa (TIFA), Anyang’ Nyong’o scored a 56 percent rating which translates to a C+ followed closely by Mombasa Governor Ali Hassan Joho, who managed a score of 53 per cent translating to a C.
Sonko emerged a distant third with a score of 44 percent giving him a D+ in the poll that had 500 respondents. In Nairobi, residents lamented poor business environment, road maintenance, and garbage management. Hours after the release of the poll, Sonko said that he accepts the low grading. “Some poll that was done by Tifa, we were ranked number last. We accept that position, but don’t forget that the same Tifa conducted a poll and said I will not be governor and today I’m standing here as the governor of Nairobi,” Sonko told journalists on Tuesday during a media briefing at City Hall on the progress made by the Nairobi Regeneration Committee. The committee is a joint effort by the national and county government to restore Nairobi’s lost glory in six months. It is co-chaired by Governor Sonko and Tourism Cabinet Secretary Najib Balala. “We can promise you in the next six months come December you will see a major transformation in Nairobi. You need to be patient you need to give us time and that perception that Nairobi county is not working is not true, we have worked with them and I can tell you it’s not easy to deliver all these challenges you have seen have been there for 30 years and cannot be resolved overnight,” said Balala.